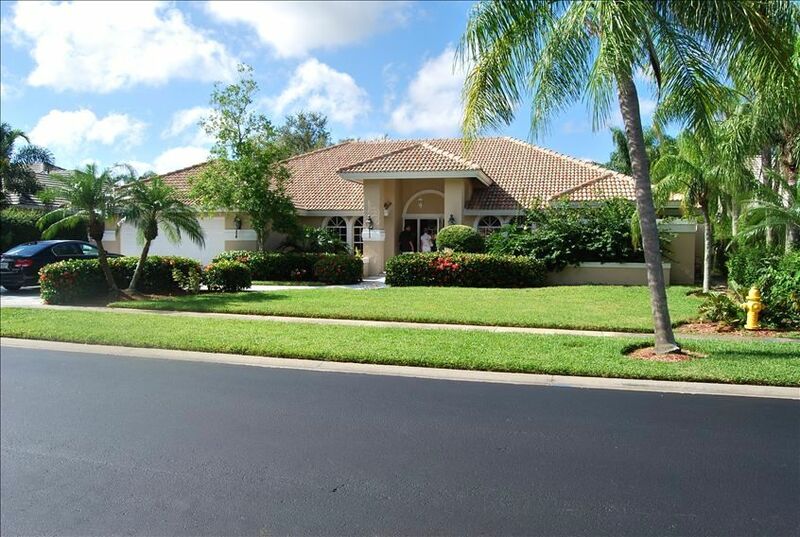 Perfect location in 'Valley Oak' at The Vineyards, Naples award winning Country Club community. Located only 25 minutes from Fort Myers International Airport (RSW) and 10 minutes to Naples 5th Avenue and Gulf beaches. South-western exposure and full privacy to left and right door neighbors due to larger lot and lush landscaping. Brand new kitchen and limestone flooring 2017. All three bathrooms new in 2014 with marble floors, vanities, faucets and paint. Driveway / walkway new in 2014. Generous split floor plan and the open fireplace (decoration only). Free wireless highspeed internet. Phone service available. Vineyards Services provide full concierge services for renters and their guests (charges apply). MIN. RENTAL PERIOD 3 MONTHS. NO MONTHLY OR WEEKLY RENTALS. PLEASE DO NOT INQUIRE IF YOUR INTENDED STAY IS LESS THAN 90 DAYS. PLEASE NOTE: NO REFUND OF RENT IF CANNCELLED LESS THAN 90 DAYS PRIOR TO EFFECTIVE DATE. PLEASE BUY TRAVEL INSURANCE TO CATER FOR THE UNFORSEEN. Location, Style of neighborhood, home features, floorplan and SW-exposure. Large casual dining room with open fireplace (wood fire); Inhouse Alarm-System, very large covered lanai (45'8 x 15'10) for all weather outside dining.